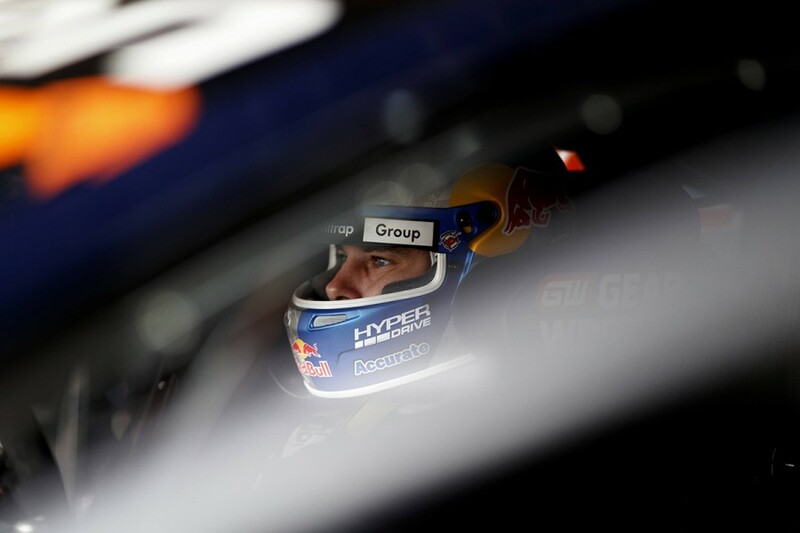 Shane van Gisbergen’s downfall in the Sunday race at Symmons Plains was triggered by an anomaly with the car’s brake balance, says Red Bull Holden Racing Team manager Mark Dutton. Van Gisbergen finished last in Race 8 of the Supercars season, a lap down, after the car’s throttle began sticking during the second stint. After three offs at Turn 4, van Gisbergen soldiered on with the problem, which was unable to be fixed in the time available during the second pitstop. As a result of the drama, the Kiwi has dropped from the head of the championship to fifth, 40 points adrift of new leader and team-mate Jamie Whincup. “We’re not going to dive in and wreck the crime scene right now, we’ll wait to do a really good analysis when we get back,” Dutton told Supercars.com. “But what it really clearly looks like, when you start breaking things down, is the connection between the sensor and the [brake] balance bar failed. “What that means is that he thinks it’s at a certain percentage, but it’s not. “The balance bar shifted, but we don’t know if it was Shane [winding the brake bias] or it migrated that way with vibration. Although drivers adjust brake bias more times per lap at Symmons Plains than any other circuit, Dutton said the frequency of changes should not trigger a failure. “We’ve had these [rapid adjuster] systems for a long time with this pedal box and everything else, so we’ve got to understand why it failed. It should never fail,” he said. The team also had a balance bar “neck out” completely in one direction last year at Albert Park on Jamie Whincup’s VF Commodore, when the bias cable itself failed. On that occasion excessive rear locking ending up blowing a rear tyre, but the issue did not affect the throttle. 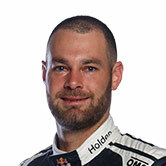 After van Gisbergen’s problem became apparent, the team and driver discussed via radio whether the Kiwi should take the car to the garage for repairs. 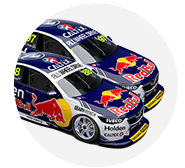 Leaving the call to the driver, van Gisbergen elected to press on, and Dutton later praised the 2016 champion for the way he managed the situation. “It generally looked like it was five or 15 percent [of throttle on the over-run]. It was related to how hard he pushed on the brakes,” Dutton continued. “What he started doing was just clutching, so it’s revving but it’s not driving the car on. That’s how he was able to keep driving. “He did a fantastic job but you’re never going to be the same speed as everyone else like that." Although the car had been difficult to control, van Gisbergen added that he did not feel it was dangerous. “It was like pressing the handbrake every time we pressed the brake pedal, and then also the throttle jamming, so it was a shame. “I wanted to stay out to get points and keep going; it didn't feel like it was dangerous and I slowed down so it was safe. “It's a shame to have a mechanical problem but in the three years racing here, I've never had one with this team. “It's been a pretty good run, we have an awesome team here. It's just one of those things, we'll just put the effort in and be good for the next race."